What do you want from your Italy escorted tour—amazing architecture, sumptuous food, delicious wine, breathtaking art, historical treasures, and scenic beauty? Whatever it is, this Italy vacation offers it to you! You’ve seen photos of the Vatican and St. Peter’s Square—now’s your chance to stand in this square, where people gather to hear the Pope. You’ve heard about gladiator contests in ancient Rome—now’s your chance to visit the Colosseum, where the contests took place. You know the most popular saint in Italy, St. Francis—now’s your chance to visit his basilica, built above his tomb. You’ve seen photos of Michelangelo’s famous David—now’s your chance to see it yourself. You’ve heard of the famous Venetian glass—now’s your chance to watch a skilled glassblower fashion it in an age-old, traditional manner. You’ve seen photos of the Leaning Tower in Pisa—now’s your chance to take a photo of yourself pushing back at it. 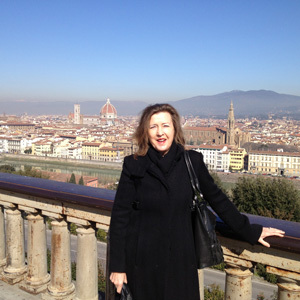 And you may have heard about the world-famous Palio in Siena—now you will visit the Piazza del Campo where it is held. But that’s not all…on this guided tour of Italy, scenic rides between cities will show you some of the country’s most beautiful scenery: the flat Po area, the wooded Apennine mountain range, and Tuscany’s Chianti wine country, with its vine- and olive-clad hills. Plus, Globus has arranged special experiences to give you a true local perspective, such as welcome and farewell dinners at local restaurants in Rome, a taste of panforte and ricciarelli (local specialties) in Siena, and a taste of traditional gelato in Florence. These are just a few of the many highlights offered on this tour of Italy’s great cities. It’s an escorted tour of Italy and a vacation of a lifetime! Welcome to Rome! At 5 pm, meet your Tour Director and traveling companions, and leave the hotel for a special welcome dinner at one of Rome’s lively restaurants. Guided sightseeing includes inside visits to the VATICAN MUSEUMS and SISTINE CHAPEL with Michelangelo’s ceiling paintings and The Last Judgment, and monumental ST. PETER’S SQUARE and BASILICA to admire Michelangelo’s Pietà. Then, drive to the Roman Forum and visit the amazing COLOSSEUM, where gladiators once fought. An optional walking tour with a Local Guide is available to further explore famous sites for those who wish to see it all. 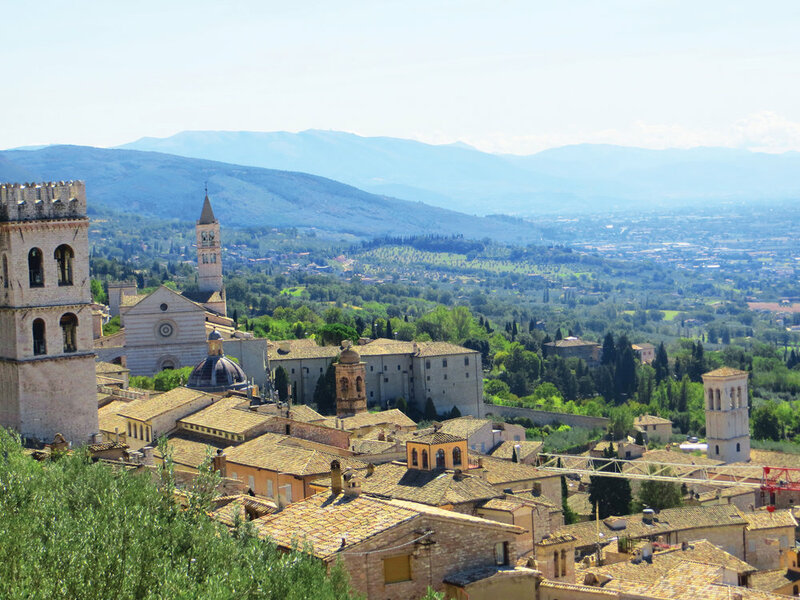 Entering the province of Umbria, arrive in peaceful Assisi and visit ST. FRANCIS BASILICA, the hub of a religious order devoted to the ideals of humanity, forgiveness, simplicity, and love for all God’s creatures. Arrive in Venice, a powerful magnet for romantics and art lovers from around the globe. Enter in style by PRIVATE BOAT! Drive through the Apennine Mountains to Pisa and marvel at the Leaning Tower, then continue to Florence, “Cradle of the Renaissance.” Tonight is your chance to try out local specialties on an optional dinner outing to a fine Tuscan restaurant. Guided sightseeing features a visit to the ACADEMY OF FINE ARTS to see Michelangelo’s celebrated David. Admire the magnificent marble cathedral, Giotto’s Bell Tower, the Baptistry’s heavy bronze “Gate of Paradise,” and sculpture-studded SIGNORIA SQUARE. A highlight is your visit to the SANTA CROCE BASILICA to see the tombs of Michelangelo, Dante, Rossini, and other historic and famous figures. And, of course, you will taste a gelato artigianale (traditional ice cream). Arrive in Siena for an orientation walk through ancient, narrow lanes to PIAZZA DEL CAMPO. See the square where the biannual Palio, Siena’s spectacular medieval-style horse race, is held and taste traditional panforte and ricciarelli (local specialties). Return to the “Eternal City” and tonight, enjoy a special farewell dinner at a local restaurant to celebrate the success of your Italian vacation.